Congratualations and thanks to the project team for delivering this environmentally sensitive project to the highest safety standards. 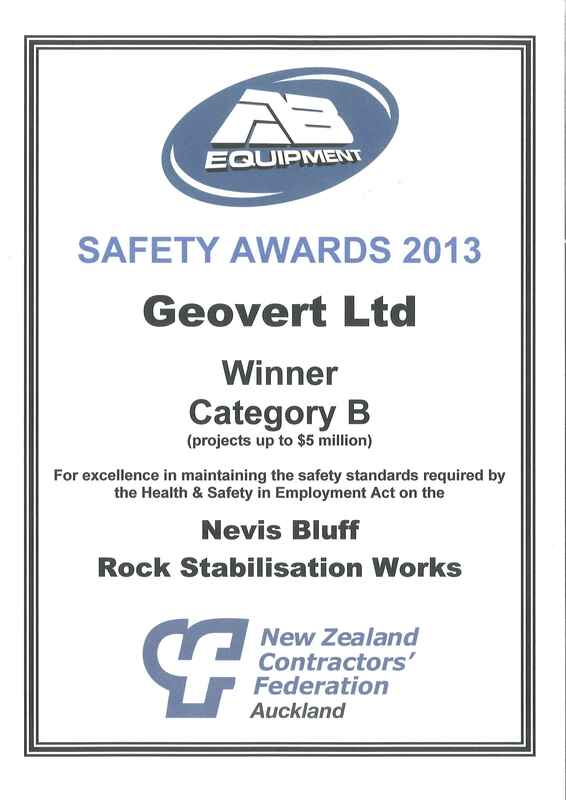 In a category ardently contested by New Zealand’s premire construction companies, Geovert were the winners for projects up to $5M value for the Nevis Bluff contract for NZTA in the first half of 2013. The great work that our team put in throughout the operation continues to ensure our people go home safely, even when working in such physically demanding environments. We welcome the opportunity to celebrate the achievement of our people and value the recognition of our safety in practice.